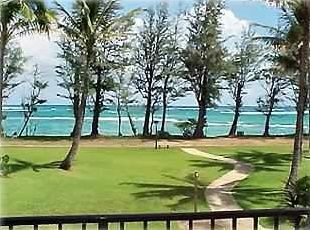 This beachfront condominium is situated on the Coconut Coast of Kauai. Enjoy sunrises on your private lanai from this one-bedroom unit in the Pono Kai Resort. Walk along the mile long beach or jog, walk, or ride along the paved trail along the beachfront. Enjoy the ocean breeze while watching the whales (winter season) from the lanai. Swim in the pool or the ocean or relax in the hot tub. The bedroom has a queen-size bed and the living room has a full-size sofa-sleeper. Pets are NOT allowed and No Smoking. The kitchen is fully-equipped or you can eat at one of the many excellent nearby restaurants. Laundry facilities are available in the complex. Nearby are restaurants, cinemas, sightseeing, and many other activities and conveniences. Many are within walking distance. I am a native of Salisbury Maryland. I attended college at Clemson I participated in ROTC there and after graduation I joined the Air Force by special appointment. My Masters in Electrical Engineering brought me to Vandenburg A.F.B. Ca. Where I spent the next 25 yrs working on the missile and shuttle programs. I met and married my lovely wife during this time. I retired to a job with Scitor on the base and retired from there in 2010. We still reside in Santa Barbara County Ca. My wife and I spent our honeymoon here at Pono Kai on Kauai. We loved it so much we came back a couple of time and decided we wanted a piece of this paradise to call our own. We found this unit with wonderful views and close access to the Beach and knew we had found our second home. We eventually plan on making it our permanent one, but until then we wanted to share our piece of paradise, hoping it makes other people as happy as it has made us. The best part of our condo is sitting out on the lanai watching all of the activities in the ocean or even when there is no one there but us, listening to the surf and smelling the ocean breeze has the most soothing effect. It is a perfect spot to catch the beautiful sunrises. The bathroom has your typical shower tub combo, with a removable shower head with pause. There is a ceiling fan, magnifying mirror and an attached blow dryer. The vanity has 6 drawers for your bath products and a nice large mirror. We are located in the Pono Kai Resort. The Resort offers a lot of amenities. From Hot Tubs to the pool and Tennis courts. It also has picnic and barbecue areas. Only steps from our condo door and you will be at the waters edge. From the Lanai you can see the Beach as well as the Cruise Ships anchored off the shore. And the most magnificent sunrises ever. From the Lanai you can look out across the whole Bay. In which there is a lot of activity. Including surfing, paddle boarding, snorkeling, sun bathing. You can't miss the bike path along the beach. There is an exercise room on the other side of the tennis courts. Ask the front desk about it. You can take the staircase to the right or the elevator in the middle. The condo is in between both them. The laundry area is by the elevator on the first floor. It has an ice maker. Above the stove with a vent. There are some condiments. We encourage you to leave any you have leftover from your stay for the next renters. Hopefully they have done the same for you. A nice size kitchen with fully stocked cooking and eating utensils. There is a dinning table with 4 chairs adjacent to the living room. As well as a table with 4 chairs out on the Lanai. There is a collection of movies for your enjoyment. We do have snorkeling gear and kick boards, beach mats and towels, lawn chairs and a nice size cooler for picnics. Cable TV in Living and Bed Rooms, Stereo with CD, Ceiling fans in Living, Bed and Bath Rooms, In room safe, Internet access, BBQ grills and picnic tables shared, Laundry on site, OUR CONDO HAS A KEYLESS ENTRY SYSTEM -- Our vacation property uses the latest security technology, We do not, provide keys to our guests, All access is controlled by access codes, which EXPIRE AFTER EACH RENTAL, You do not need to worry about keys being copied, driving to a rental office, losing keys at the beach, or meeting at the property to let others in, Our guests love this system, and we know that you will too! The place was just as expected! Wow, what a view right from the lanai! Close to all the shops/restaurants and at a nice resort. Shufflboard, ping pong, pool, volleyball, tennis, etc, right on the bike path and walking distance to a bike rental location. Nice size hot tub, fits many people. We had a couple issues happen that would have been easier to deal with if we were renting from the resort directly, but in each circumstance the local contact handled the situation as best possible and even let us have a super late check out to make up for it. Owner can be difficult to reach or may not respond to communications, but it wasn't a big deal and everything worked out perfect. Would stay again!! Spacious one bed condo located near the ocean and in walking distance to the shops/stores in the town. If you have a car there is ample parking spaces near the building. We enjoyed our stay and would recommend this place to other travelers. My only complaint was the unit was not ready upon our arrival after the check in time. Note: There is no AC in the unit but has some decent fans. The unit was not clean. The kitchen utensils were substandard at best. Every cupboard was full of owner stuff and even under the bed. Owner needs to visit and clean out if it is to be rented. The price per night was good. Owner did not get rental paperwork to me until 4 days before my arrival. Owner did not respond to emails or phone calls. VRBO had to contact them before we got the necessary paperwork. It was very stressful. It states in my contract that you will not receive the final paperwork with the codes until a few days before you are due to arrive. You would have known that had you read it. As for the stuff under the bed I have to ask why you were looking under the bed anyway. This is my part time home not a Hotel. There is one cupboard over the refrigerator that has spare light fixtures and bulbs in it. The rest of the cupboards are filled with all kitchen supplies. As far as the utensils not being clean, since I do not live on the Island I rely on my housekeeper to take care of that. I do apologize for that. I am currently interviewing for a new house keeper. Thank you for your feed back. The best for casual lifestyle! We love Pono Kai for the spacious grounds, the koi pond for the kids, the swimming beach with sea turtles, and the convenience to shopping and the island accessibility. Wouldn't stay anywhere else in Kapaa! Rates are subject to change without notice prior to your check-in dates. There are NO PETS allowed. The Deposit is due 10 days after a verbal or written agreement is reached. There is no smoking in the condo or on the property period. There is a Credit Card charge of 3.9% not figured in the above Quote.